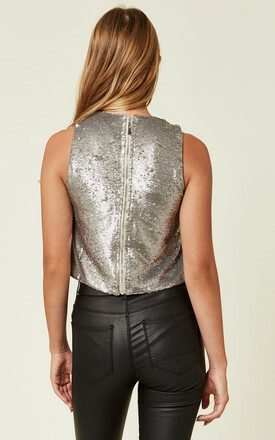 Shimmer on the dance floor with this sequin crop top. Perfect for that jeans and a nice top combo. A great way to instantly brighten up any outfit, great with jeans and heels, culottes and trainers, high waisted skirt for special occasions, races, weddings, proms. So many options to create that head turning look...You've got it girl.